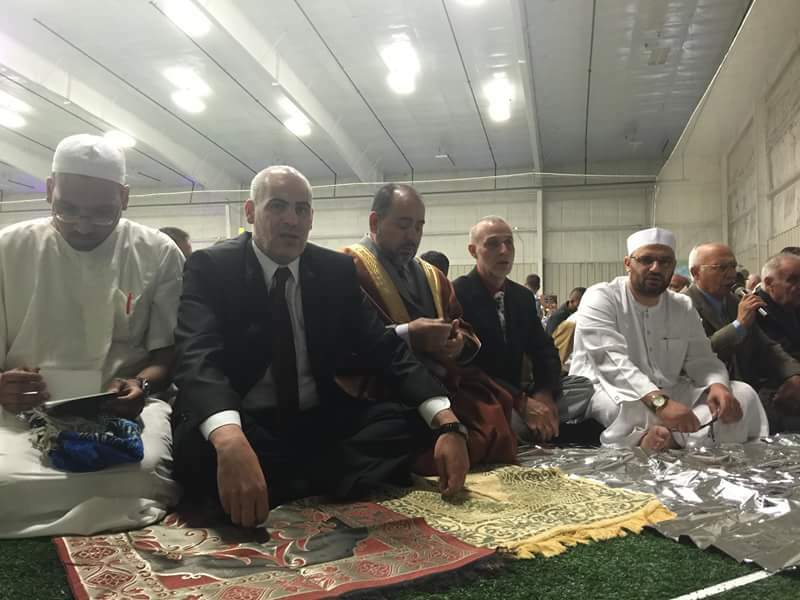 Toledo, Ohio had its first United 'Eid prayer service. 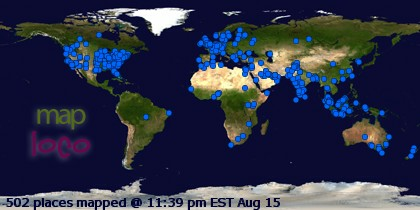 Below is a video of the program. Minute 1:00- 3:00 Adam Smidi opening remarks. Minute 3- 5:45, Imam Farooq welcome. 5:45-12:00 Eid prayer led by Shaikh Ahmad Abou Alsayf. Notice his beautiful recitation of the Qur'an, from Soorah Al-Faatihah, Al A'laa, and Al Ghaashiyah. 27:00-35:00, Closing remarks and supplication by Shaikh Ibrahim. 35:00-39:00, Greetings from Toledo Mayor Paula Hudson and Mayoral candidate Sandy Collins. 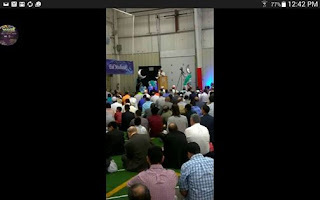 Below are a couple of pictures from Toledo's Eid prayers and celebration. Four Mosques and a community center pooled their resources to have a united service celebrating the end of the month of Ramadan, itself a time for prayer, fasting and introspection. 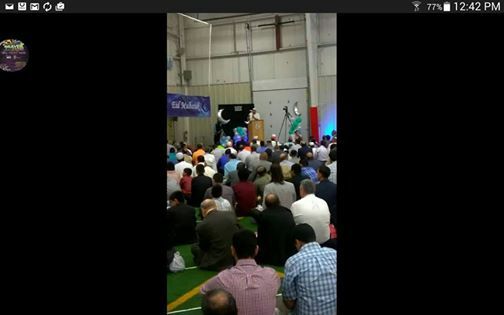 We will post video of the Khutbah when it is made available, insha Allah.